Our collection of stockings - from left to right - Scott's, mine, Erica's and Brian's [kind of obvious], then Hannah's and Rascal's. 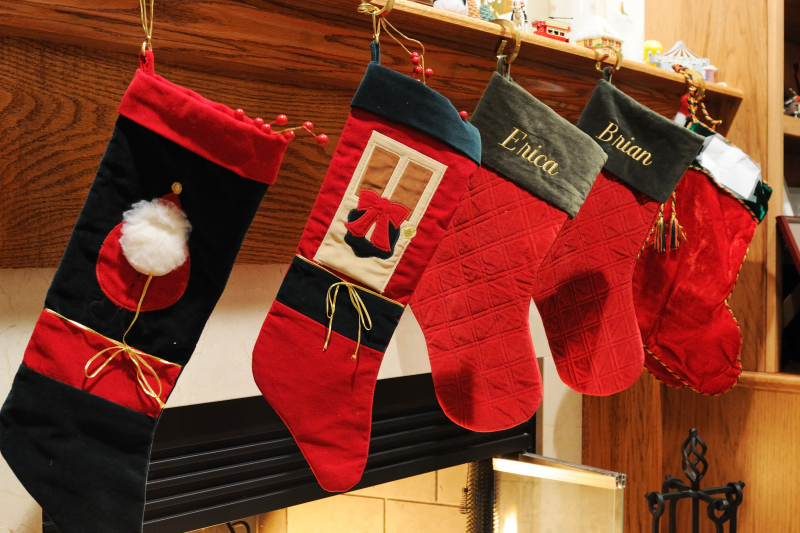 Hannah's stocking was Erica's baby stocking, before Brian was born - the personalization is covered with a piece of paper, affixed with tape. Hey that's the way we re-purpose around here.